Ghanaian left back Isaac Oduro has lamented AFC Leopard's elimination from the CAF Confederation Cup competition exit. 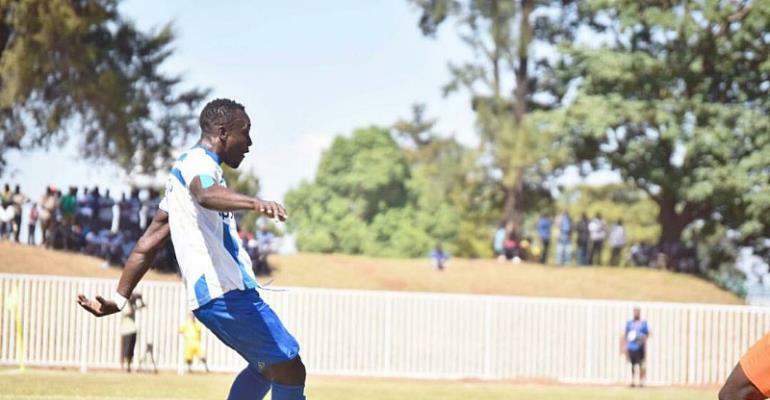 The Kenyan giants needed to score in the return leg encounter against Madagascan outfit Fosa Junior to ensure a safe passage to the next phase of the CAF Confederation Cup competition after drawing 1-1 at home in the first leg fortnight ago. However, Robert Matano's charges could only record a goalless draw game in Madagascar in the return encounter on Wednesday, which knocked them out from the competition via the away goal rule. During an interview with Emmanuel Bortey on Homebase TV's Ebuboba Sports, Oduro who has been a key figure for the side since joining as a free agent prior to the season could not fathom how they failed to overcome the Islanders in the game. "It was unfortunate we were eliminated from the CAF Confederation Cup by Madagascar side Fosa Juniors, we did our best but it was not enough so we are going back home. We're going to focus on the Kenya league," the former Hearts of Oak defender fumed. Leopards will return to Kenya on Thursday evening to prepare for their upcoming clash against Wazito in the Kenyan Sportpesa League on Sunday.